A big theme for 2016 / 2017 has been Winter ONEderland birthday parties. What a great way to bring some snowy birthday parties all together. 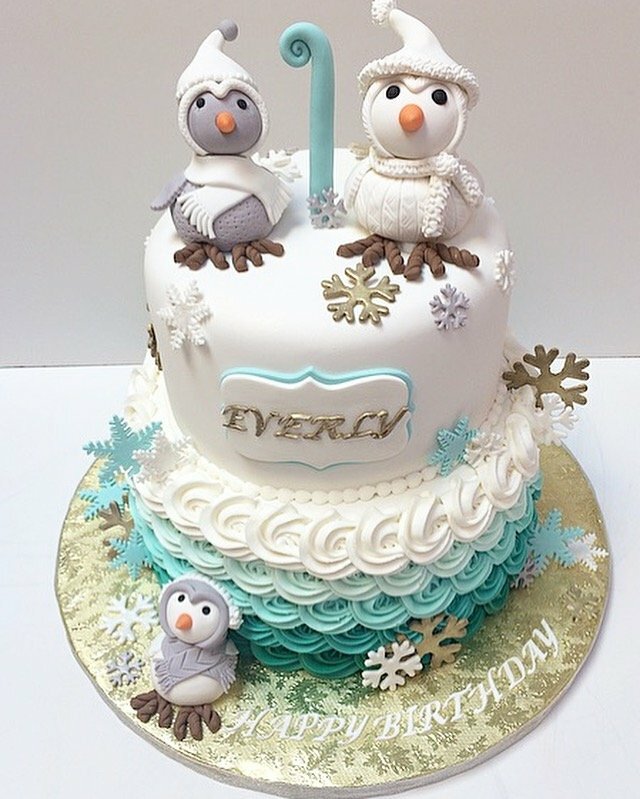 We love this Owl / Nordic theme for this cake, not to mention the gorgeous colour palette of teal. gold and ivory.